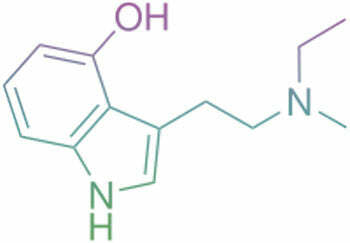 4-HO-MET, also known as 4-hydroxy-N-methyl-N-ethyltryptamine, metocin or methylcybin is a psychedelic research chemical that is structurally similar to psilocin. As with other psychedelic compounds, 4-HO-MET is believed to cause psychedelic effects due to it being a partial serotonin receptor agonist. The toxicity profile of 4-HO-MET is unknown due to the lack of scientific studies on the compound. If you choose to obtain this drug from a research chemical supplier (such as Causing Color) then you must know the legal status of it in the country you choose to get it sent to. Not knowing such information can potentially cause you to get prosecuted due to various laws regarding the chemical in question. If you buy research chemicals online then you need to know that they are not for human consumption and are strictly for forensic laboratory use only. One should handle the chemical with gloves to avoid skin contact and should also use cold storage techniques to keep its quality from degrading over time. Copyright © 2019 My Store. .